Nothing is spookier than skeletons, right? My kids are delighted with skeletons, bones, and all things spooky and ghoulish in October. I decided to let them try their hand at a Halloween STEM activity by building their own 3D skeletons using cotton swabs. 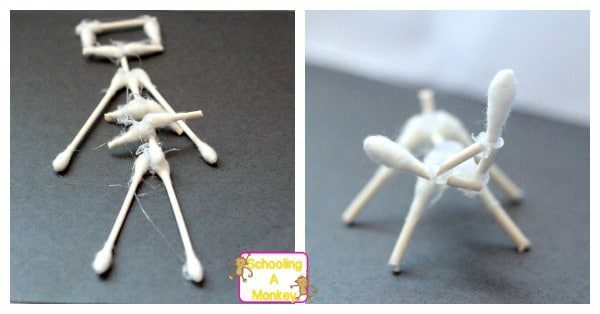 Cotton swabs are actually pretty good tools for recreating skeletons, and depending on the age of the children you’re doing this activity with, you can go super simple on skeleton design or try to create realistic skeletons using multiple cotton swabs. 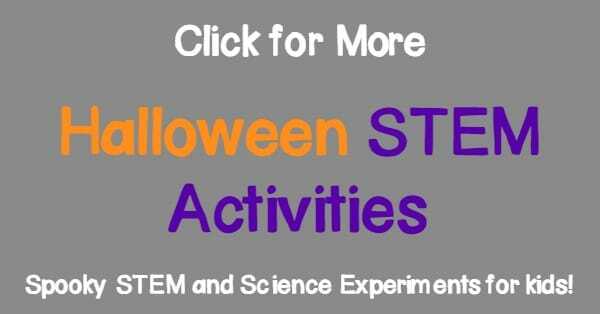 Combine scientific learning with the theme of the season in this fun Halloween engineering and science project. We love Halloween because it is the perfect time to explore the creepy science of science. 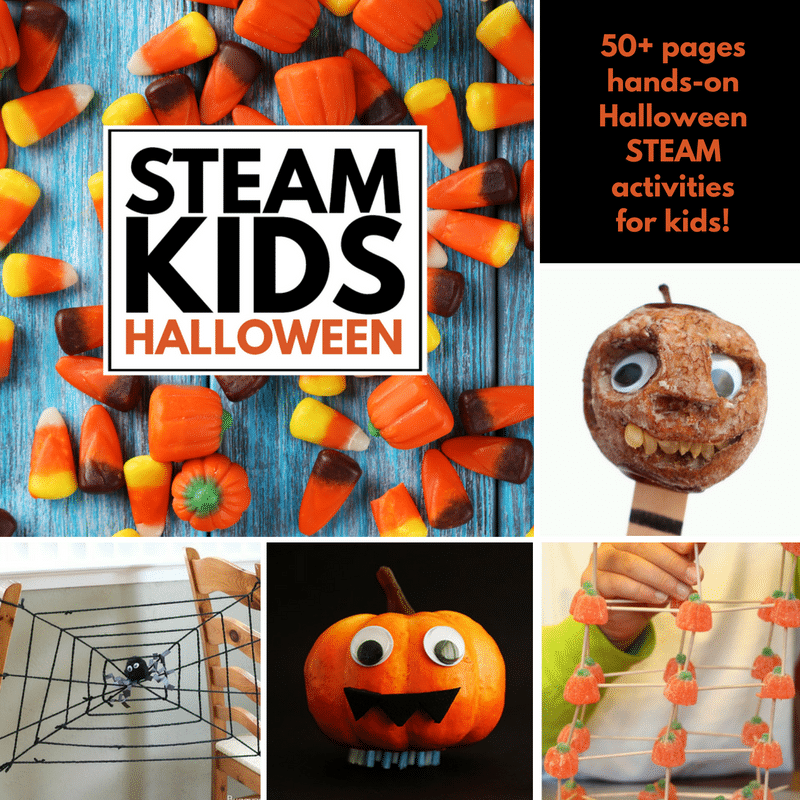 This simple Halloween science activity was a favorite with our kiddos! We loved how simple and quick this activity was, but the kids ended up learning a lot! 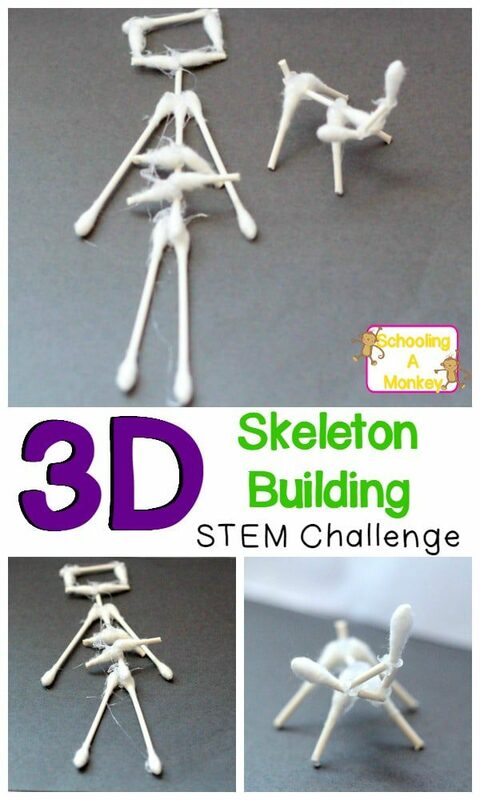 Combine science with Halloween with this simple STEM challenge to build 3D animal and human skeletons from cotton swabs! Before starting the activity, go over the diagrams with the kids and discuss similairities and differences between animal and human bones. Count how many major bones each animal has and discuss how bones work similarly in all mammals. You can also discuss how fish, reptiles, and insects have a different sort of bone structure. Let each child select a skeleton to attempt to recreate. Have the children build a 3D version of their skeleton, from memory or by using the diagram. Use glue to hold the cotton swab “bones” together. Talk about how bones fit together while conducting the activity. Science: We discussed what bones are present in the bodies of the animals we chose (Bobcat and human). Technology: We used technology to research our answers and record data. Engineering: We build 3D versions of our skeletons. Math: We counted the number of bones in each creature and noted any number differences between animal and human bones.